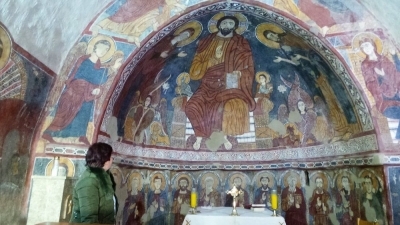 Around the city of Jbeil (Byblos), many town churches have kept 13th century murals within their churches, like the church of Mar Tadros in of the village of Behdidat. This precious little church in the town of Behdidat looks quite simple on the outside but encloses marvelous frescoes. 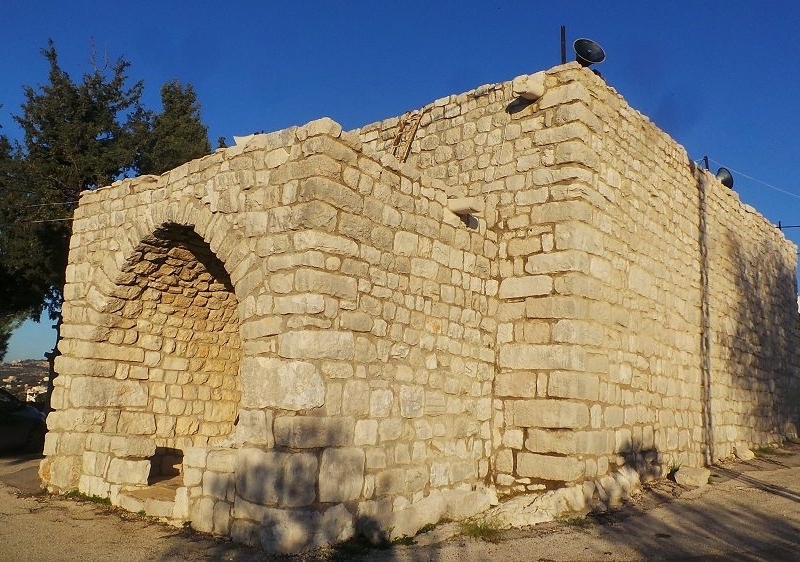 The church of Mar Tadros closely adheres to a unique architectural features. Eyes staring into eternity, fresco of Mar Tadros, Behdidat, Byblos area. 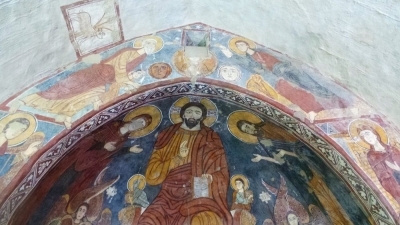 Around the city of Jbeil (Byblos), many town churches have kept 13th century murals within their churches, like the church of Mar Tadros in of the village of Behdidat. The church walls are covered with a complete pictorial program, relating the story of Salvation in its two dimensions, according to the Old and the New Testaments under the aegis of two warrior saints: Saint George and Saint Theodore (Mar Tadros). On the walls of the nave boast, two large panels only guide towards the apse. North, in a Roman soldier’s garb (armor, chainmail, a slander lance and a shield decorated with polychrome stripes, Saint Theodore, patron saint of the church, rides a brown horse. Astride their horses, Theodore and George, the two warrior-saints, fight embodiments of evil forces and contribute to Christ’s victory. The wall paintings of this region offer a synthesis of two traditions: Byzantine and Syriac. While the decorative themes show a Byzantine influence, the tradition is Syriac and the artistic style comes under a typology presenting the following features: solemn mono-dimensional figures in majestic settings with outlines marked by a mere thick black line. The stereotypical, oval shaped faces with almond-shaped, widely opened eyes stare into eternity. The lines of the eyebrows are extended to shape the nose. 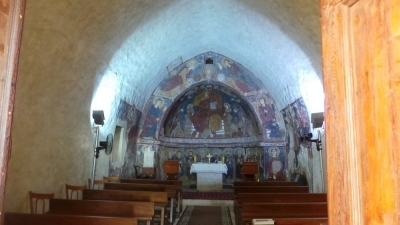 The church of Mar Tadros displays artwork considered among the finest specimen crusader era paintings in the Levant.